Newcomers to Florida usually require quite some time to learn the names and locations of the well known towns with the word "Winter" in their names. Winter Park, Winter Haven, Winter Garden, and Winter Springs come to mind. But history has almost forgotten Winter Beach. Winter Beach is not much more than a name now with only a scattering of people living in the vicinity. It is on US Highway 1 about 6 miles north of mainland Vero Beach. The US Census Bureau calls it the Winter Beach Census-Designated Place and says about 1,000 people live there. 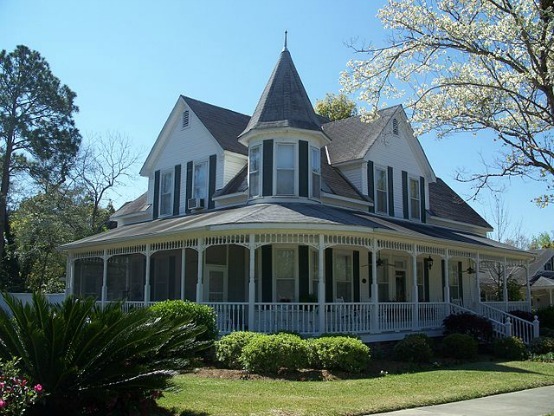 The original name of this place was Woodley and it was founded in the late 1890s. The citizens changed the name to Quay in 1902 to honor US Senator Matthew S. Quay of Pennsylvania. Quay Dock Road is a current reminder of these days. 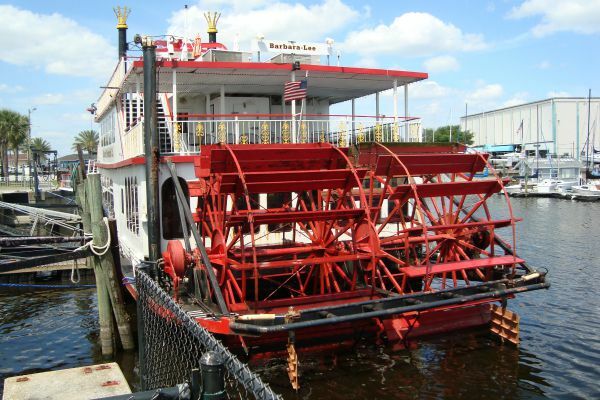 Senator Quay had introduced a bill in the Senate to widen and deepen the Indian River Lagoon as part of the Intercoastal Waterway, and the citizens believed this project would be a great economic benefit to the community. 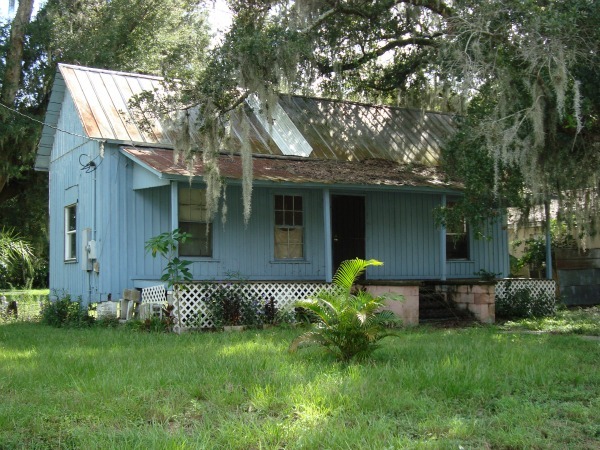 Senator Quay had a winter home in St. Lucie Village, a small settlement on the Indian River Lagoon north of Fort Pierce. In 1922 the citizens once again decided the community needed a new name and in 1922 they came up with Winter Beach. The slogan of the community was "Where Sunshine Spends the Winter". 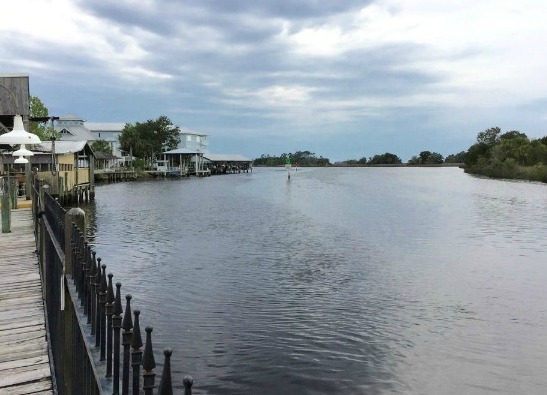 Developers began work on a grand program to sell 8,000 lots in Winter Beach. 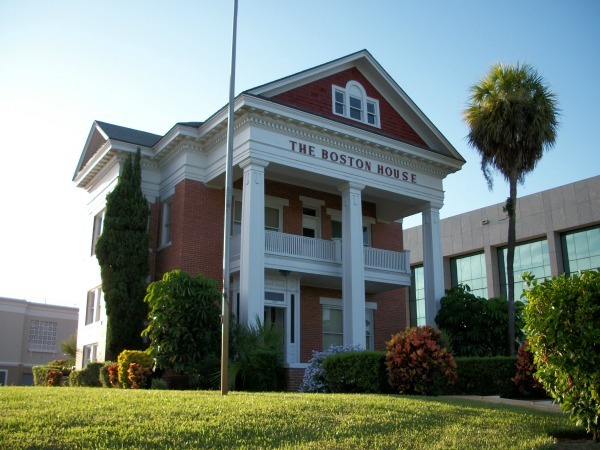 When Indian River County was established in 1925, Winter Beach was considered as a possible County seat but was passed over for Vero Beach because Vero was an incorporated city. 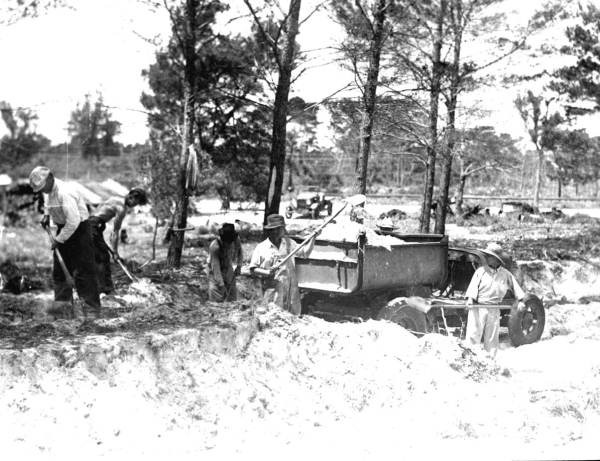 A current day reminder of this historic community is found on the barrier island across the Indian River. 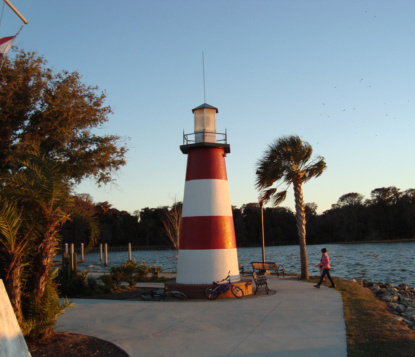 Old Winter Beach Road is the northern boundary of the village of Indian River Shores, location of the historic and famous Johns Island Club. 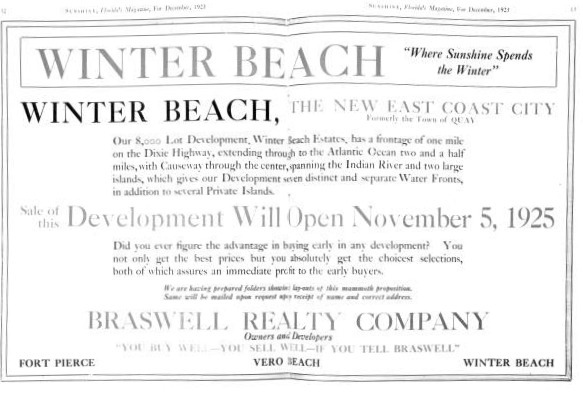 The advertisement for the original Winter Beach development said it extended across the Indian River to the Atlantic Ocean, and mentioned the causeway spanned the Indian River and two islands. A look at the modern aerial photo of this area shows the current 69th St in Winter Beach extending to the Indian River. It lines up perfectly with an overgrown cut across Hole in the Wall Island and Pine Island to the east and connects to the current location of Old Winter Beach Road. This is all that remains of the wooden bridge and causeway that at one time connected Winter Beach to the barrier island. 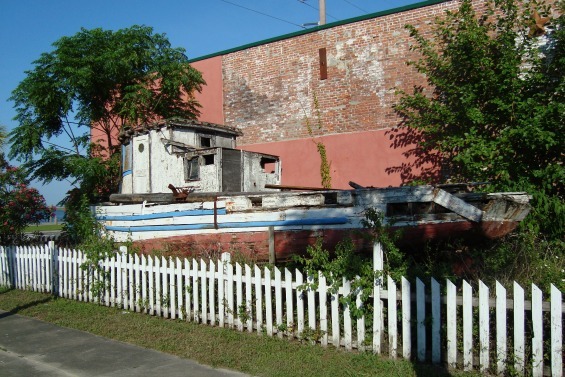 Between Pine Island and the barrier island was a swing bridge that allowed boat traffic to pass by in the north-south direction. The real estate boom collapsed in the late 1920s along with the developer's dream of a major new city, Winter Beach. In 1946 the bridge was badly damaged in a fire, and in 1947 it was completely demolished and removed. Maybe a few old timers remember Winter Beach and the grand dreams of long ago.